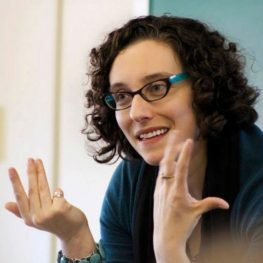 Alexis Lothian is Assistant Professor of Women’s Studies at the University of Maryland, College Park. She researches and teaches at the intersections of queer theory, cultural studies, digital media, and speculative fiction. She received her PhD from the University of Southern California in 2012. Her book, forthcoming from NYU Press, Old Futures: Speculative Fiction and Queer Possibility, explores alternative futures dreamed up by feminists, queers, and people of color in 20th- and 21st-century Britain and America––from feminist utopians to video remixers––in order to inquire into historical and political narratives that the seemingly transparent terminology of “the future” has obscured. She also works on new artistic forms that are emerging from fan communities, particularly digital remix video (vidding), especially as these forms engage critical readings of media texts and are used to participate in social justice activism. Her work has been published by International Journal of Cultural Studies, Cinema Journal, Camera Obscura, Social Text Periscope, and Journal of Digital Humanities, and the feminist science fiction publisher Aqueduct Press; in 2013, she edited a special issue of Ada: A Journal of Gender, New Media, and Technology on feminist science fiction.